Walmart has the ALEX Spa DIY Bath Bombs on sale for $8.49, down from $16. 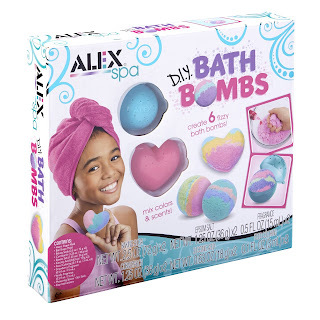 ALEX Spa DIY Bath Bombs explode with essential oils and fizzy fun colors. Relax in a warm tub, colored and scented especially for you. Add your favorite skin conditioning oil for healthy soft skin. 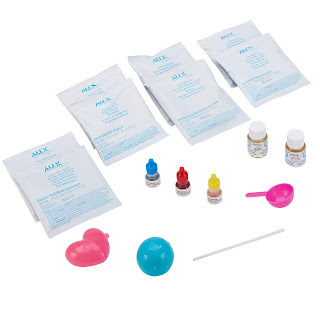 Just follow the directions to mix the proper ingredients and create a unique ball or heart shaped bath bomb for yourself of a friend.